News TV Channel / CNN Philippines is a commercial broadcast cable and satelilite television network in the Philippines. It is owned and operated by Nine Media Corporation together with Radio Philippines Network (RPN) as the main content provider under the license of US-based media company Turner Broadcasting System (a division of Time Warner). Replacing 9TV, CNN Philippines is the local franchise of the Cable News Network (CNN). It is also the fifth local franchise of CNN in Asia, after CNN Indonesia, CNN Türk, CNN Arabic and CNN-IBN (India). 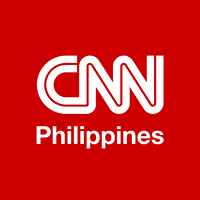 CNN Philippines' local programming is produced from the Upper Ground Floor of the Worldwide Corporate Center, Shaw Boulevard corner Epifanio de los Santos Avenue in Mandaluyong City. The channel maintains its analog transmitter located at the RPN Compound, #97 Panay Avenue, Brgy. South Triangle, Quezon City; while digital transmission facilities are located at the Nuestra Señora Dela Paz Subdivision, Sumulong Highway, Barangay Santa Cruz, Antipolo City, Rizal. On October 14, 2014, Turner Broadcasting System with Nine Media signed a five-year brand licensing agreement, until December 31, 2020, that will build the alliance between the two news agencies on television and online.